Beverly Jane Londerholm, the beloved widow of former Kansas Atty. General Robert C. Londerholm, passed away peacefully at her home, with family at her side, on Friday, January 11th. Born April 19th, 1934, Bev lived a full, active, happy life. After serving in Rainbow Girls during her youth and being a proud member of the S.M. North class of 1952, she went on to participate in many groups and organizations – most notably the Mayflower Society, People to People, MOAA, Daughters of the American Revolution and Morningstar Sunday School at COR. And in addition to her career with the U.S. Census Bureau, Bev also liked to volunteer, especially with the Jo.Co. Election Board and at the Church of the Resurrection, as well as regularly contribute to many worthy charitable organizations. Beyond Bev’s countless social activities, family and friends were her greatest joy. She was an extremely proud, loving wife to her husband Robert, mother of her four unique children Robert Jr, David, Stephen and Katherine and their wonderful spouses, grandmother (G-mom) of sixteen very special grandchildren and six sweet grand daughters and sons-in-law and the great grandmother of eight utterly precious great grandchildren. And, being a genuine people person, Bev also dearly loved all of her innumerable friends, relatives, neighbors and even casual acquaintances. 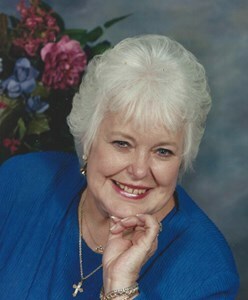 A dedicated, life long bridge player, Bev also found enjoyment in playing card games with grandkids and/or taking them to Branson, as well as traveling with family and friends, most particularly on her highly cherished cruises all over the world. Naturally friendly, kind, generous, forgiving and loving, and always “dressed to the nines," Bev will live on in the hearts of all those she knew and loved.